The series entitled Facets of Recent Indian Philosophy is collection of addresses delivered by eminent philosophers as general Presidents in the annual session of the Indian Philosophical Congress. Initially conceived to be published in three volumes, and the idea having been accomplished, the proposition transgressed itself and this fourth volume symbolizes the transcending finale of the venture. Vol. 4: The Philosophy of Life. The first three volumes of the series contain seventeen addresses each. The last one has twenty-one entries, including a couple of addresses of Sectional Presidents, one Endowment lecture and one paper submitted to a section. The addresses included in these volumes deal with some of the major and perennial problems of philosophy in general and of Indian philosophy in particular. Thus, problems of ego, fear, sorrow, violence, peace, freedom, time, life and the like, have received focal attention. Some of the addresses discuss temporal and social issues, such as unity in diversity, dogmatism, ecology and the malady of the age. Viewed together, they evince our philosophers' concern with eternal, as well as, immediate problems and their eagerness to solve the problems by making sincere efforts. 12These volumes ill undoubtedly be useful for the researchers and students of contemporary Indian philosophy as they give a good idea of the direction in which twentieth-century Indian philosophy has been moving since the mid-thirties. S.P. Dubey (b. 1944 is Professor of Philosophy at Rani Durgavati University, Jabalpur, Madhya Pradesh. Currently he is also the Dean of the Arts Faculty in the University. He was educated at Banaras Hindu University, Varanasi and McMaster University., Hamilton (Canada). Formerly a member of the Indian Council of Philosophical Research he is at present General Secretary of the Akhila Bharatiya Darshan Parishad. Besides three books- Rudolf Otto and Hinduism, Idealism East and West and On Religion -and a Hindi translation of Burnet's Greek Philosophy, Professor Dubey has contributed a large number of papers to learned journals and anthologies. The Hillarian feat of sailing through the philosophical currents between Calcutta and Haridwar is now accomplished with the realisation on the bank of Narmada that Gangotri/Gomukhi could not be reached by man-made boat. The four volumes of the series have covered many Ghats of the Philosophical Ganges between 1925 and 1997. While sitting at Jabalpur, the venue of the last Presidential Address included in the series, I feel happy to conclude the task of editing these volumes. I wanted to include the Presidential Address of the 1996 session of. the I. P. C. (at Pune) but that was not delivered. And I am not waiting for the forthcoming Addresses. If the task is worthwhile a younger stu- dent of philosophy may take it up in days to come. Titles of the essays at Serial Nos. 4, 5 and 18 of the present volume are given by the editor as they were missing in original presentations. In this volume twenty-one essays from eminent scholars of Indian philosophy are included. 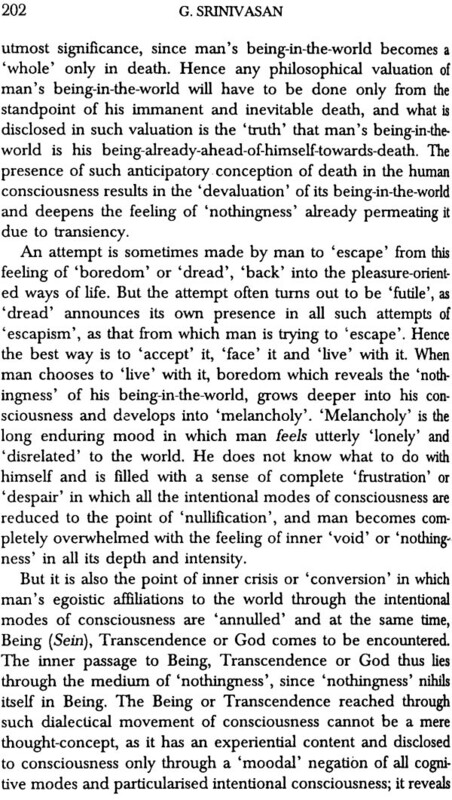 Each one of them relates to one or the other session of the Indian Philosophical Congress (I. P. C.). Thirteen of them (at serial nos. 3-6, 8-10, 12, 17-21) are the. Addresses of the General Presidents. As they were not sufficient to make the collection large enough to be comparable in size with earlier ones, some more essays from the proceedings of the I. P. C. have been included in this volume. Six of them (at serial nos. 1, 2, 7, 11, 14 & 16) are Addresses of Sectional Presidents, one (at s. nos. 15) is an Endowment Lecture and the remaining one (at s. no. 13) is a Sectional Paper. No argument is being advanced for selecting the entries other than those of the first category. The series itself was conceived to include them. With the present volume almost all the Addresses of the General Presidents of the I. P. C. so far have been made available in print. Selection of other essays here could be treated as ad hoc or due to personal likings. However, even for ad hoc or personal choices there are implicit reasons behind them which I would not like to make explicit. I would Simply say that all of them flow from pens of eminent scholars of the subject. 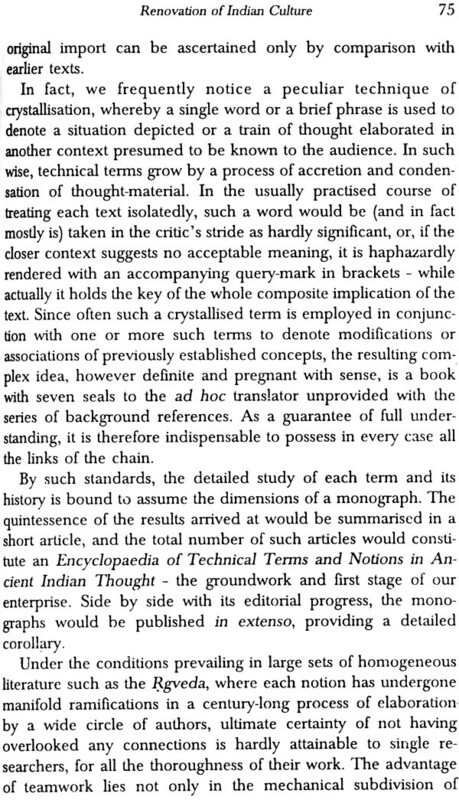 Entries in the volume are made in chronological order - as• they were presented in various session of the Indian Philosophi- cal Congress. The title of the volume is chosen to indicate the major thrust of essays included. At least eight of these including those by S. K. Maitra, M. N. Sircar, John McKenzie, Humayun Kabir, J. L. Mehta, R S. Srivastava, Indra Sen and Darshan Singh, have emphasised the importance of the concept of life. Maitra holds that Indian philosophy is concerned with the whole of life. He notes that 'Life' is now a catch-word in the modern West as well. 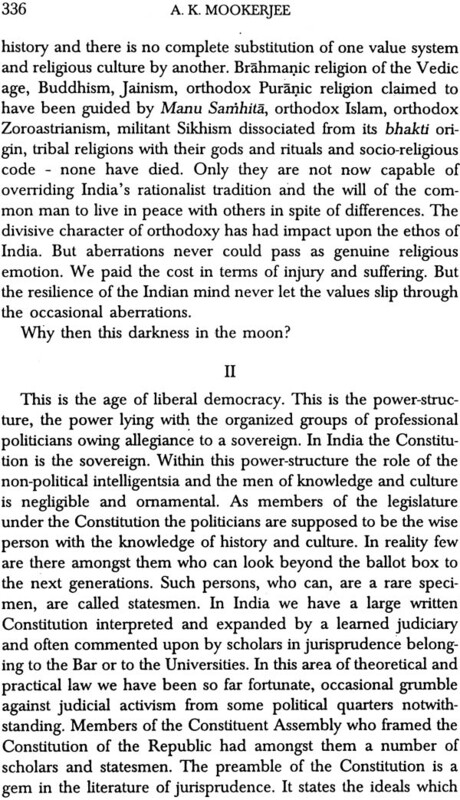 Sircar feels that in India philosophy and life are uniquely united. 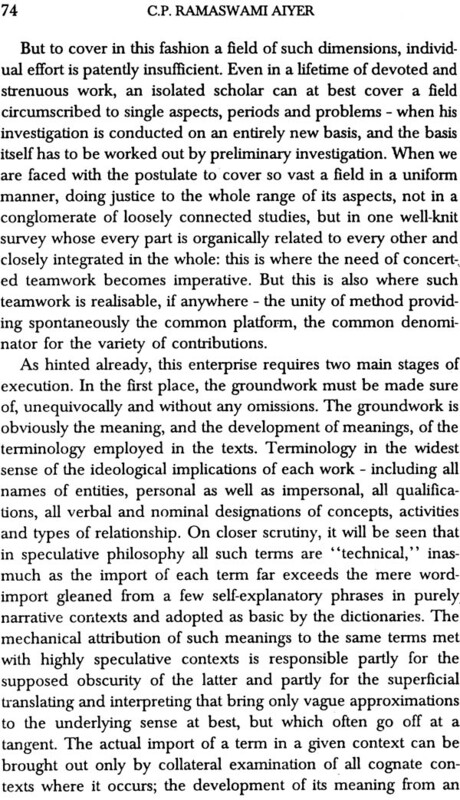 McKenzie maintains that philosophy is an endeavour to discern the right way of life. Kabir finds that man's perennial quest is to understand the meaning of life. For Mehta life and thought are embedded in the tradition .of the country. Srivastava is an advo- cate of spiritual life of man. Indra Sen hopes for a divine life integrating knowledge and experience. For him the concept of Moksha provides a proper direction to man's life. To Darshan Singh religion in general, and Sikhism in particular, .presents a creative attitude to life. 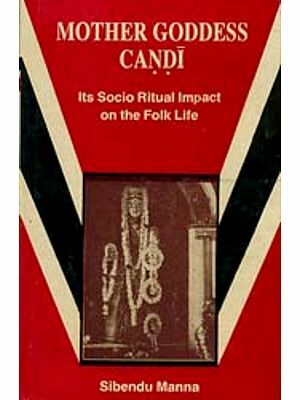 The idea of providing this title to the volume is strengthened ,by a national seminar of the I. C. P. R. on 'Meaning of Life in Aftro-Asian Thought' at the Professor K. Satchidananda Murty Centre for Studies in Afro-Asian Philosophies at the Nagarjuna University in September 1996. The proceedings of that seminar and the content of this volume would make a good reading on the concept of life. Some of the essays of the volume show integration of philoso- phy, religion and science. 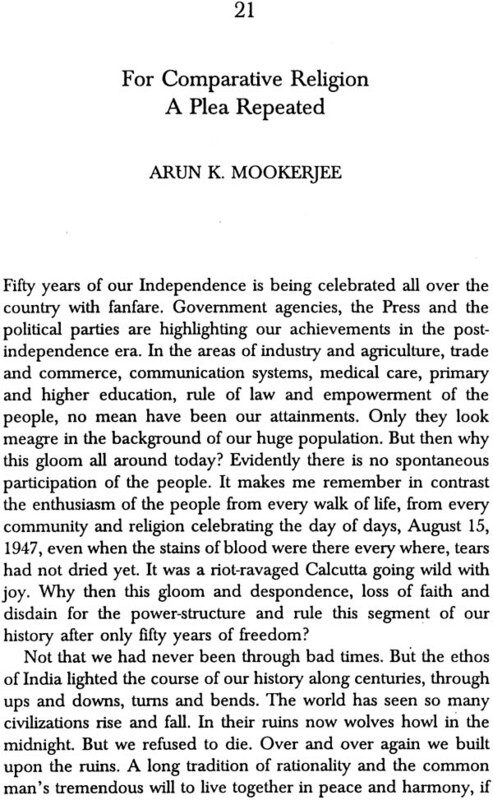 Maitra, McKenzie, C. P. Ramaswami Aiyer, Mookerjee and S. C. Sengupta stand for such harmony. They are well aware of the difference in these disciplines. But they also find that these approaches come close in a human situation. Such integration obviously helps us understand the meaning of life in a better and wider perspective. This factor also justifies the title of the volume. 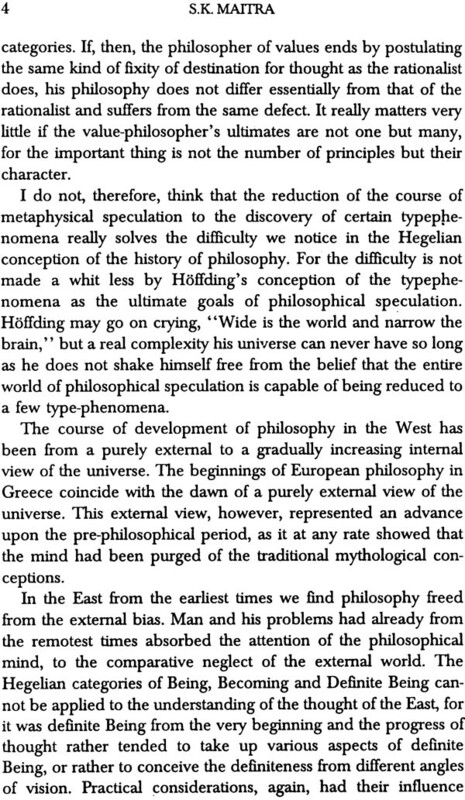 Essays by other scholars in the volume throw light on some of the fundmental issues of philosophy. S. N. Dasgupta calls upon to create a new world of culture by harmonising the past tradition of India with the Modem West. H. M. Jha analyses some of the key concepts of Navya Nyaya in terms of modem logic. D. Y. Deshpande discusses the problem of future contingents in Aristotle. 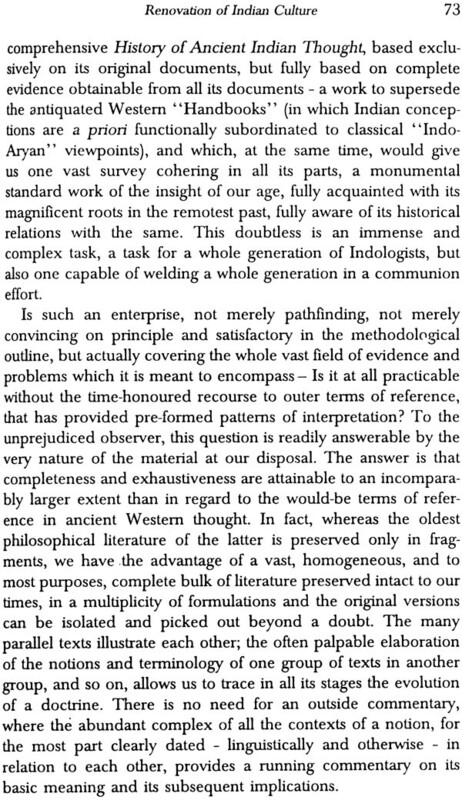 R. A. Sinari advocates an Atmalogy and underlines subjectivity in our endeavour to understand the world. 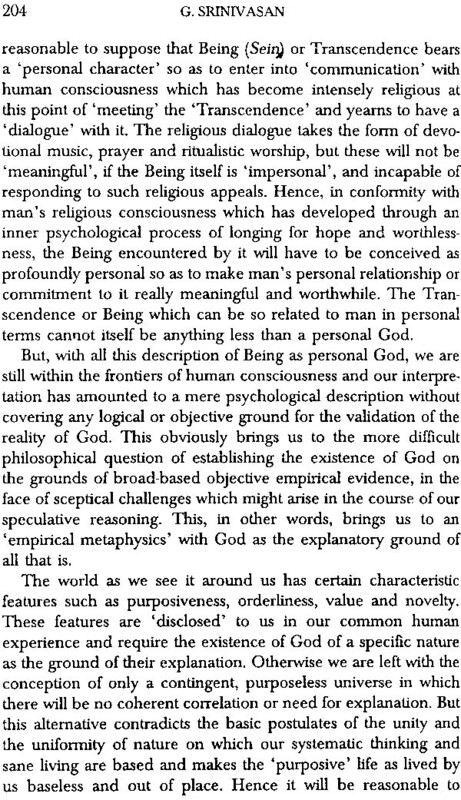 G. Srinivasan explains man's encounter with the divine. 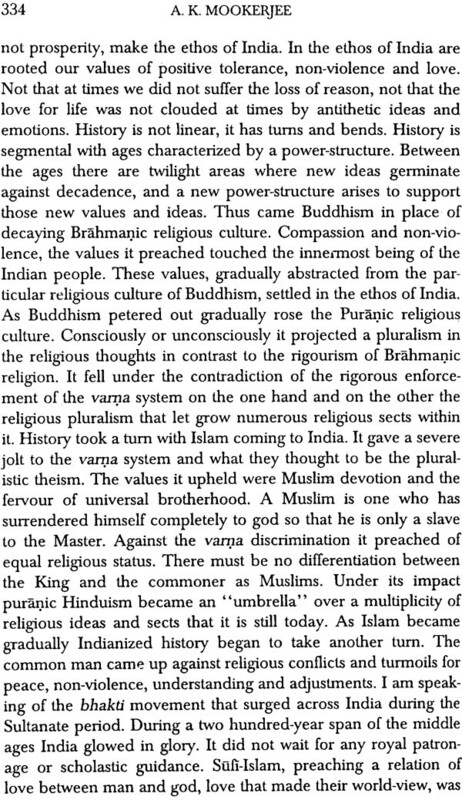 K. N. Upadhyaya feels that a proper understanding of key terms like God and Self would show the compatibility in the Brahmanic and the Buddhist traditions of India. Mushirul Haq finds religion to be the sincere faith in God. He advocates freedom to choose one's own path to God. 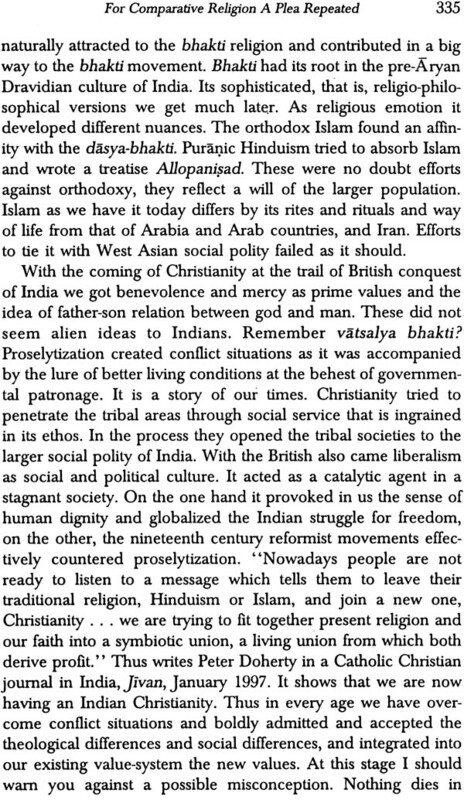 B. K. Lal is concerned with the problem of secularism in India today. J. 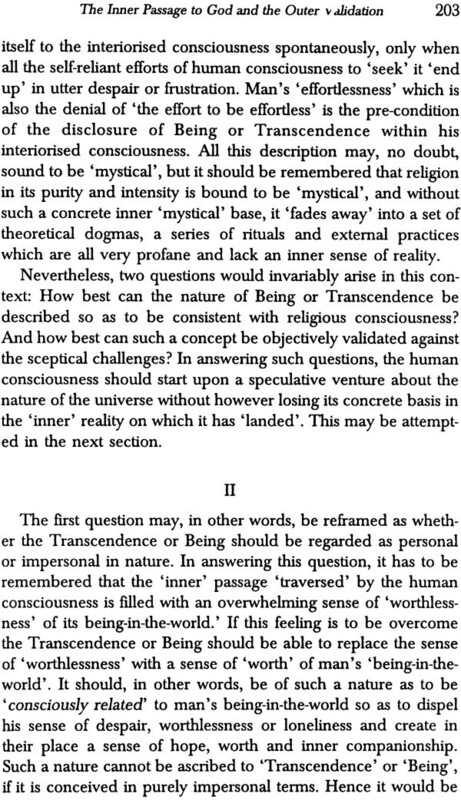 A. Yajnik underlines the need to understand the spiritualistic metaphysics so that one could be- come a world-citizen. Rajendra Prasad, in his essay on applied ethics, finds that Krishna is the best example of hyper-committal level in moral sphere. A summary of all the entries of the volume is being given here for a synoptic appraisal of the content. Dr. Shishir Kumar Maitra, through a large number of books written in course of his long philosophical career, has developed a theory of Emergent Value. 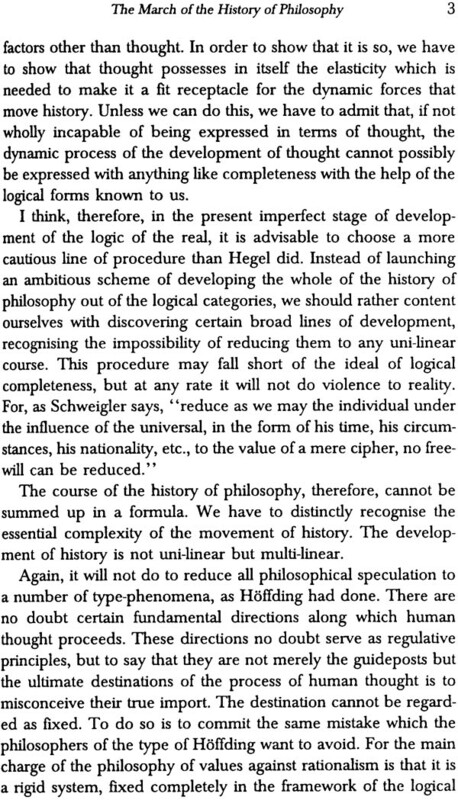 According to him the only correct standpoint for philosophy is that of value. Value and reality are not opposed. 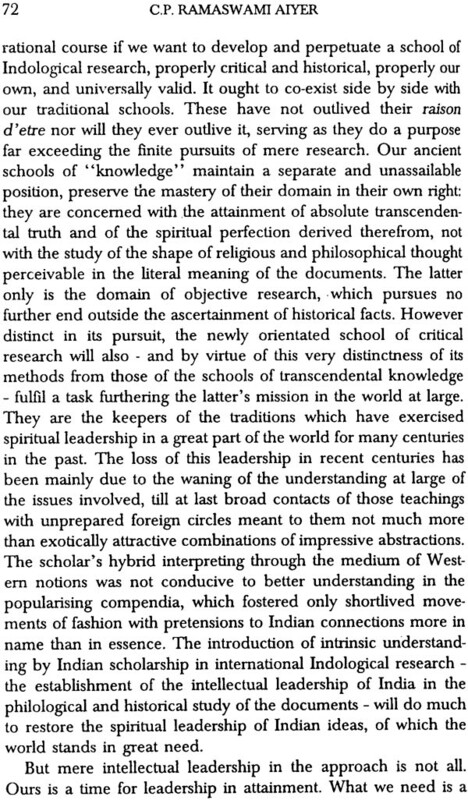 He admits the impact of Hegel, Bergson, Hartmann, Brajendranath Seal and Sri Aurobindo on his thought. 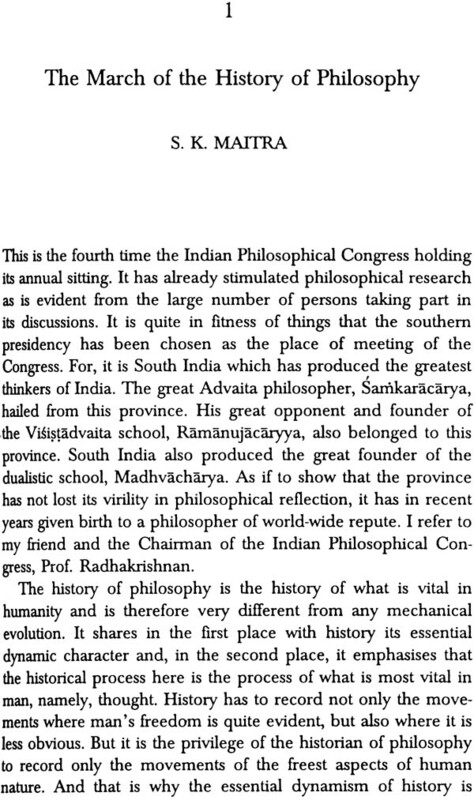 In his presidental address at the History of Philosophy session of the fourth session of the Indian Philosophical Congress at Madras in 1923 Professor Maitra concentrates on the March of the History of Philosophy. He finds the present juncture in the history as a period of calm, not very creative or disturbed by conflicting ideas. 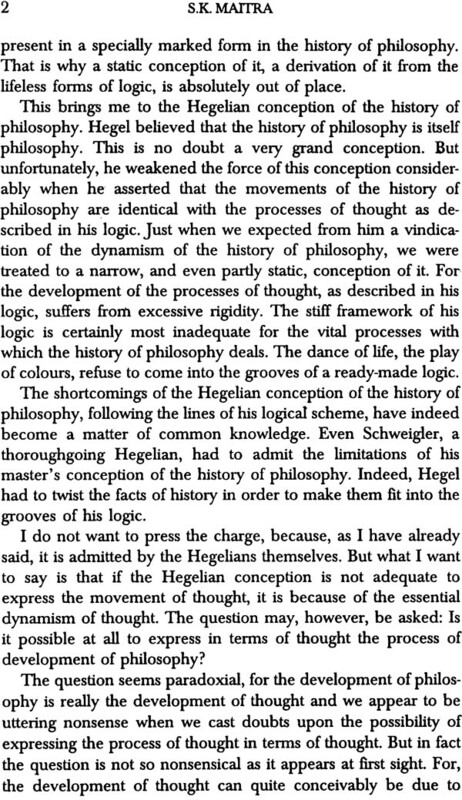 This, he maintains, is good for the progress of philosophy in the right direction. 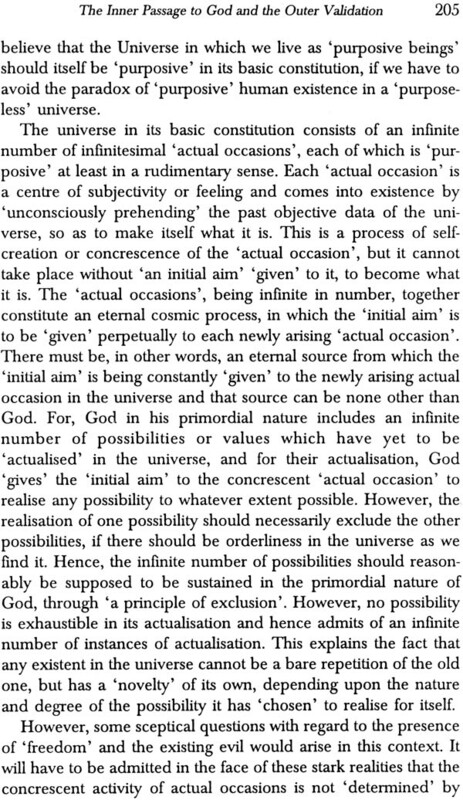 It provides favourable condition to comprehend the complexities of philosophical problems. It will prepare the ground to rethink problems from a newer and wider standpoint. Indian philosophers today have a very impor- tant role to play. Now they are not passive spectators. They are active participators. They can and should provide leadership in philosophy.